Slowly but surely I'm adding a little decor to our upstairs bathroom. A while back I shared how I spruced this room up without spending much money. Every single surface got a fresh coat of paint, including the counter top, sinks, and bathtub! 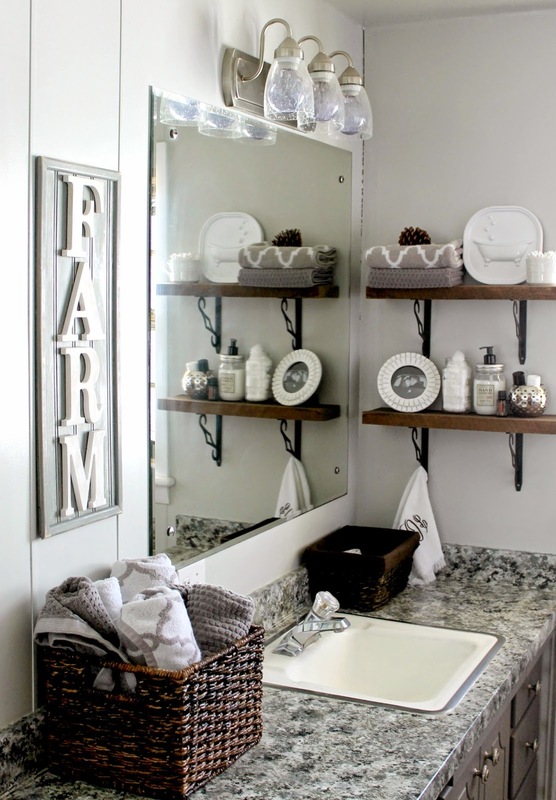 More recently I shared my DIY rustic barnwood shelves that I added to add some much needed storage and warmth to the space. 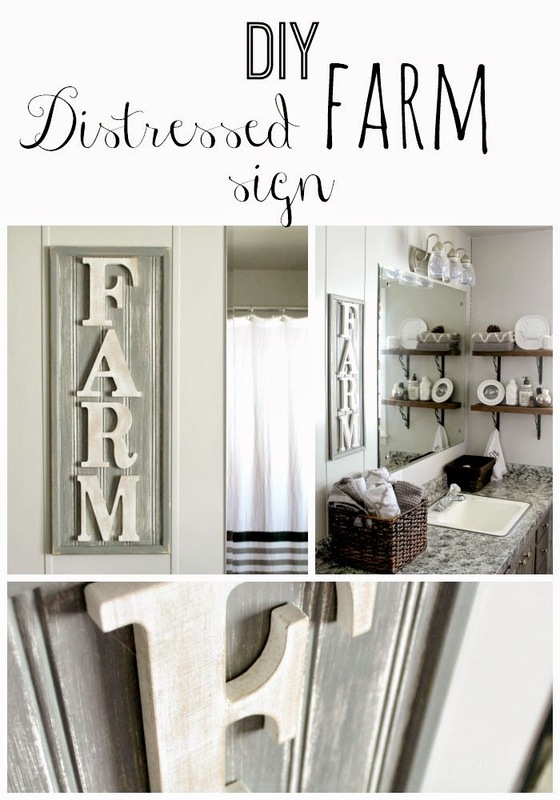 Today I'm going to share this cute farm sign I made. In our last house I played around with the idea of making bead board panels to add to our kitchen cabinet doors. 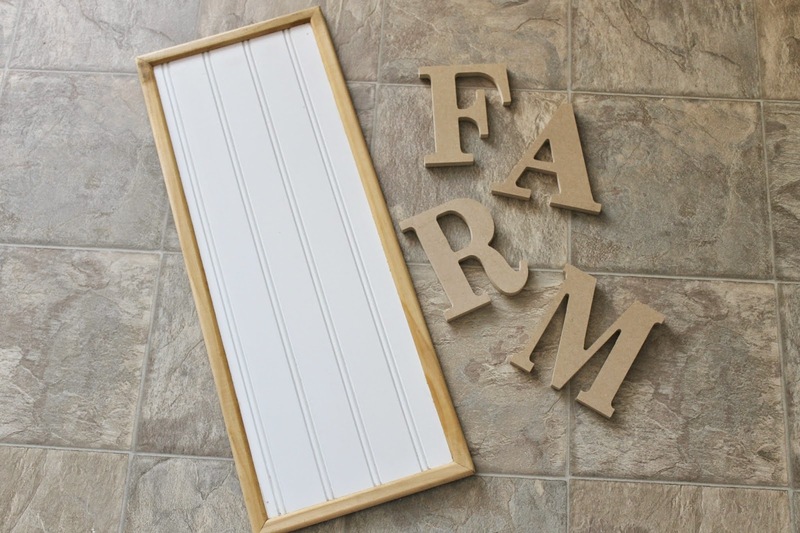 We ended up experimenting by making one panel and then the project never really moved forward since we decided to purchase our farm. 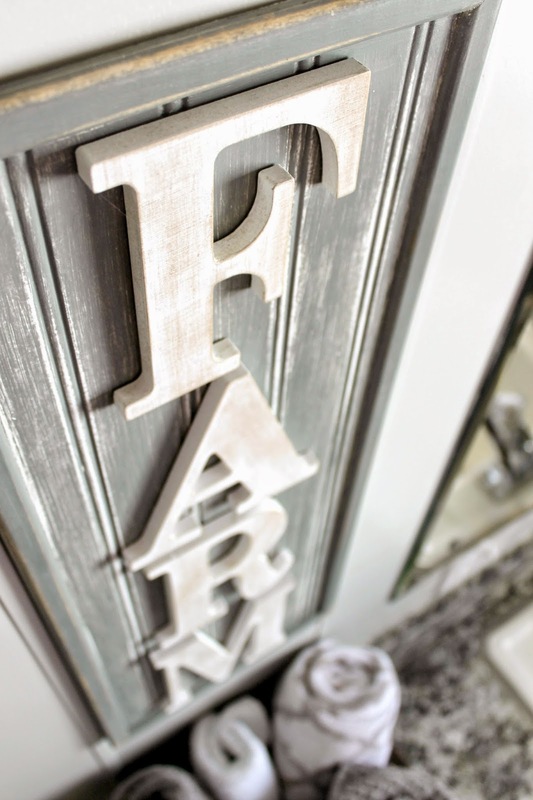 So, I was left with one panel that I knew I could turn into something unique for our farmhouse. 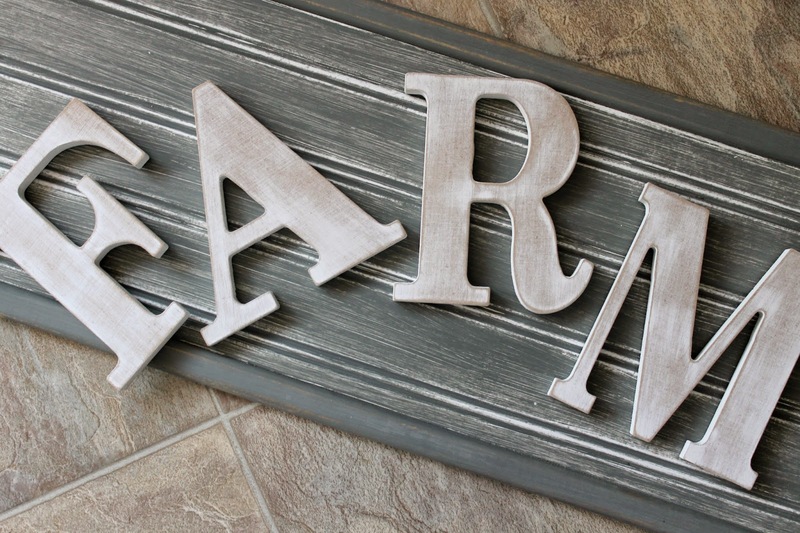 The panel is simply a scrap piece of bead board framed out in inexpensive molding and I found the letters at Walmart in the craft section. The first step was to paint the panel. 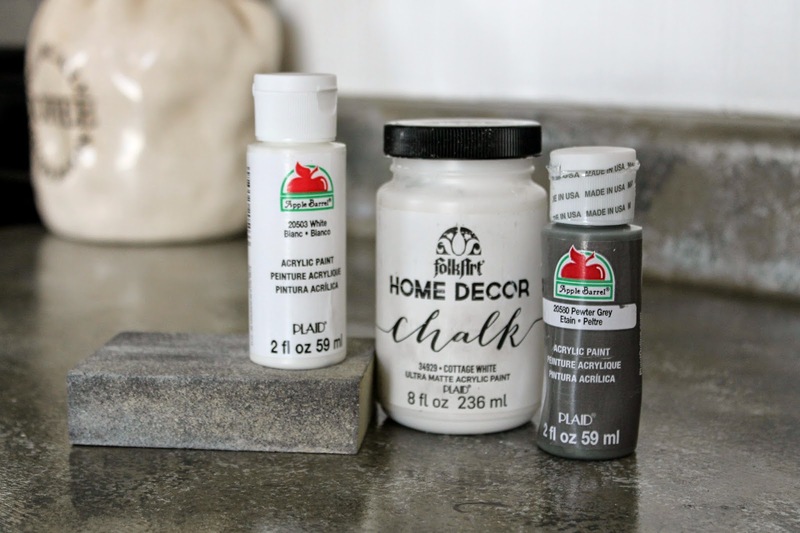 I did this by mixing gray craft paint (Pewter Gray) with a little white chalk paint (FolkArt Cottage White). 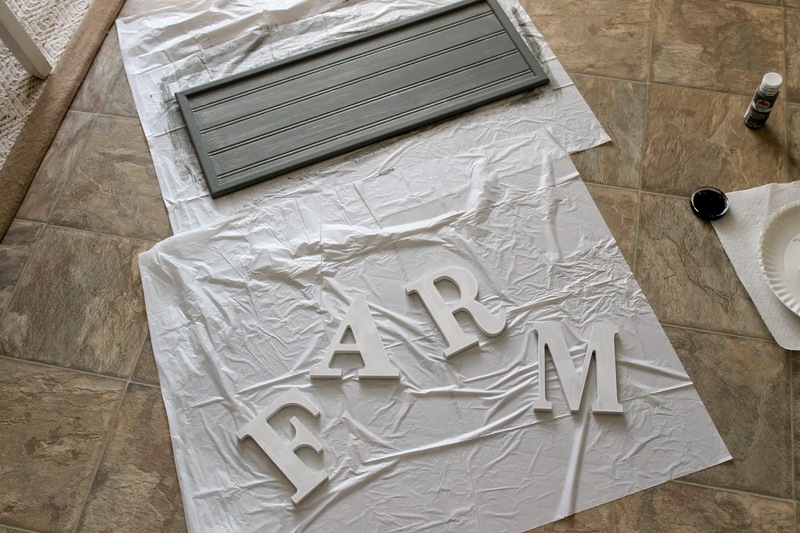 I painted each letter with white craft paint then allowed time for everything to dry. Next it was time to distress! I used a sanding sponge and just sanded everything until it looked the way I wanted. I focused on sanding down the edges the most and the ridges in the bead board, then I lightly sanded over each letter to give them a more worn look. To attach each letter to the panel I used my hot glue gun, and that was it! 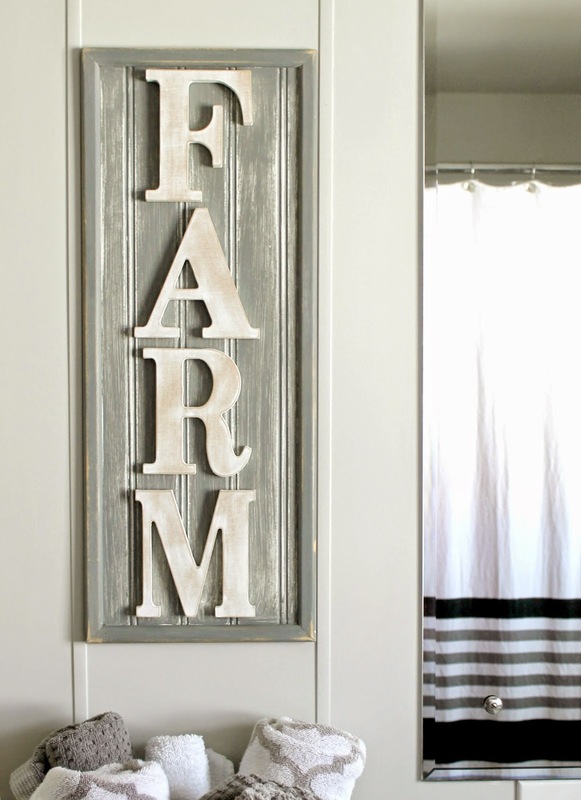 Fun farmhouse art for our bathroom without spending much money! As for hanging the sign on our wall I used some left over sticky strips that came with a few 3M Command hooks I bought a while back. Worked like a charm! This space is really starting to feel cozy now. 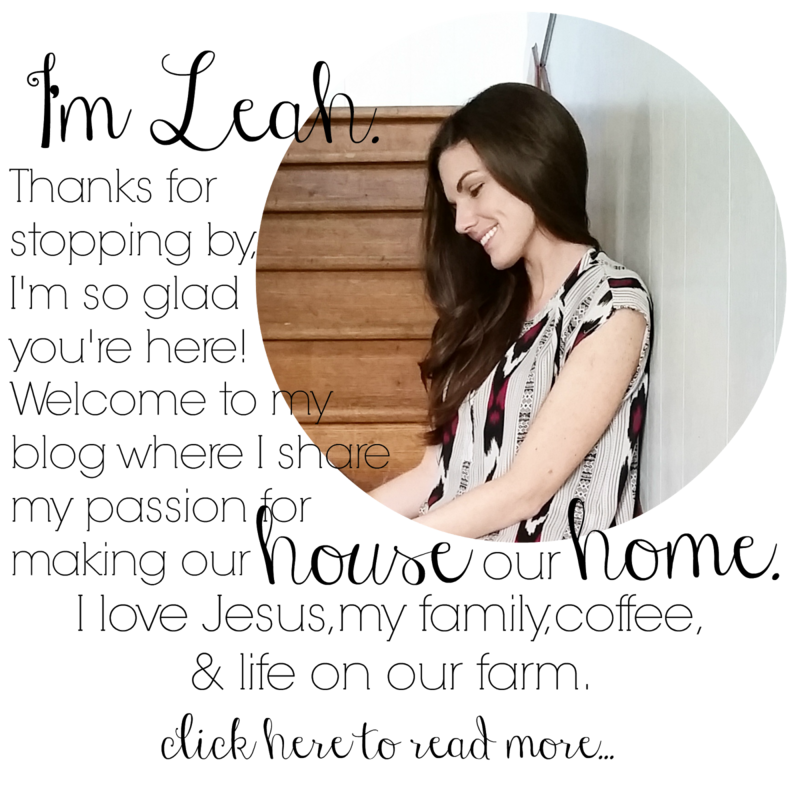 I still have a few more projects left to do to finish it up which I hope to share with you soon! 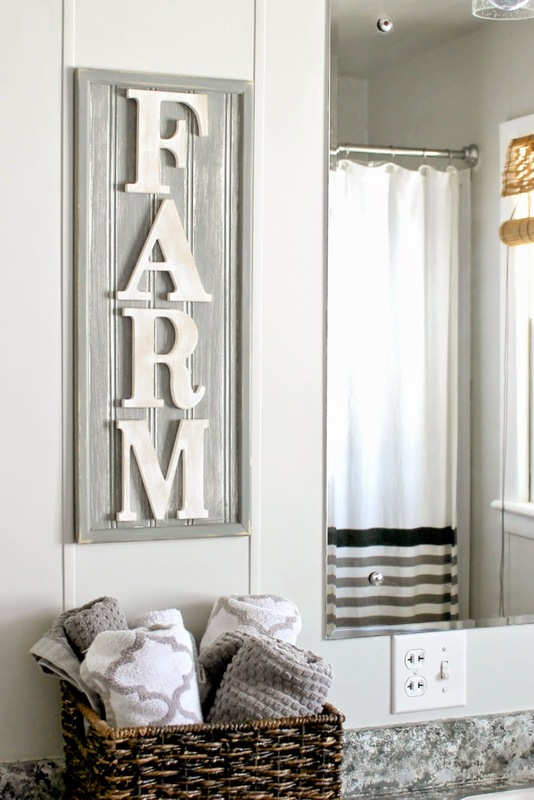 Such a cute bathroom & the sign is adorable! !